Speed, Range: 15 knots economical, 29+ knots maximum, 6570 miles at 15 knots. Torpedoes: 2 x 324 mm Mk 32 triple launcher for Mk 46 Mod 5; anti-submarine torpedoes. This class is a natural evolution of the Ada class corvettes with a larger surface to surface and a surface to air missile load. 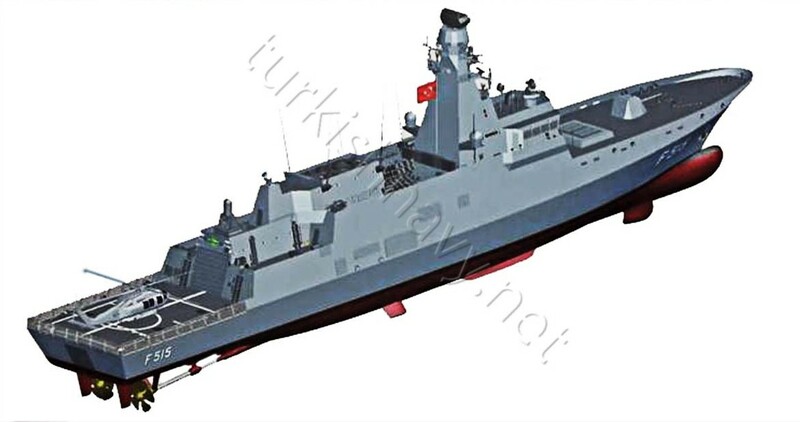 The first steel for the lead ship TCG İstanbul was cut on 19 January 2017. The details on machinery and other weapon and sensor systems have not been disclosed yet.